written for teaching and self-study and the book has a problem section with solutions. Dr. Robert Urick, the author, was an eminent underwater acoustics scientist and engineer, contributing to nearly all phases of underwater sound research. 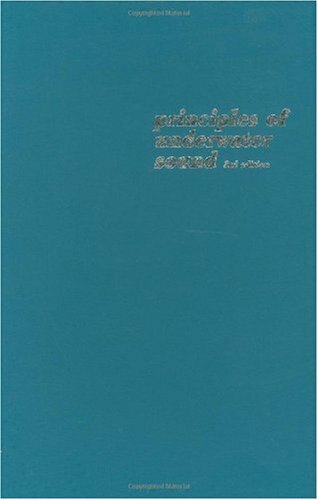 Among his many awards, Robert Urick received the Distinguished Civilian Service Award from the Navy and The Pioneers Medal from the Acoustical Society of America for his authorship of this book, his many experiments on sound propagation scattering, reverberation and ambient noise, and his grand scholarship and leadership in the field of underwater acoustics.